This is the fascinating account of how Christianity actually came from the Holy Land to the British Isles in the first century–and then from these Isles on to Rome. The book traces the role of Joseph of Arimathea in the founding of the British Church and explores the Church's deep Celtic roots . The Celts, Bishop Harvey narrates, were the earliest of all people to become Christian, and in turn, Celtic teaching and their manner of life and thought all contributed to the character and spirituality of the British Church. Anglican Bishop Robert C. Harvey has spent a lifetime walking the paths of history, legend, and faith and presents here a detailed picture of the British Church from its earliest days to the reign of Henry VIII. The drama unfolds against the panorama of Britain's eventful relationship with the Rome of the Caesars, its would-be conquerors and eventually its ally. 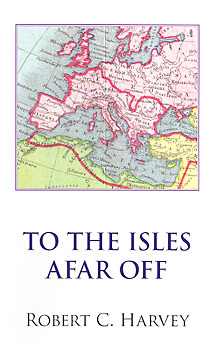 Exhaustively documented, vividly told and illustrated, To The Isles Afar Off takes us on an intriguing and inspiring journey of discovery about the founding and growth of Christianity in the West. "Bob Harvey looks clearly and seriously at a group of stories that many Anglicans have heard of. He has researched them to flesh them out, and he ties them together to present an intriguing and persuasive case that Christianity is as old in Britain as anywhere else outside the Holy Land. His book should appeal to a wide audience."